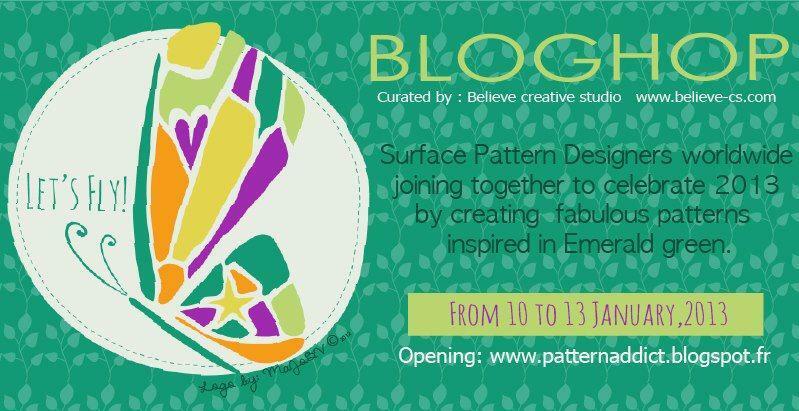 I wanted to share with you that around 50 Surface patterns designers (which I have nicknamed my “design posse”) around the world are gathering together in a fantastic bloghop, this will be open on Thursday 10 of January until Sunday 13 January. 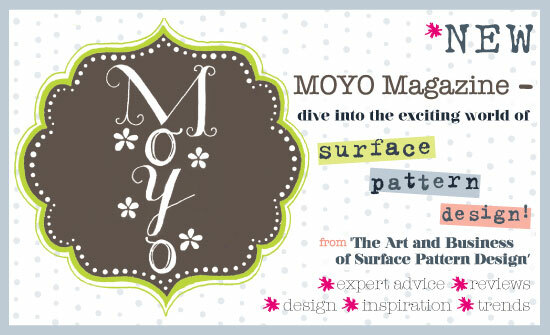 This bloghop is our way to celebrate the New Year and we thought the best way to celebrate is by creating and doing what we love. The theme is “Let’s fly” and we will be using as a main color Emerald, the 2013 Pantone Color of the Year. “Let’s Fly” flyer design by MaJo Bautista V and Rosie Martinez-Dekker. Each designer will be creating a mini collection based on their own interpretation of the theme and showcasing each one unique style. 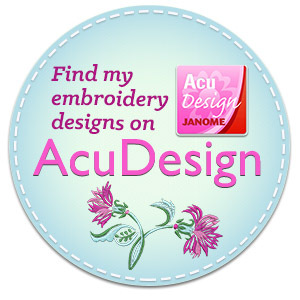 I hope you can join us and visit! Thank you for stopping by, and spread the word!